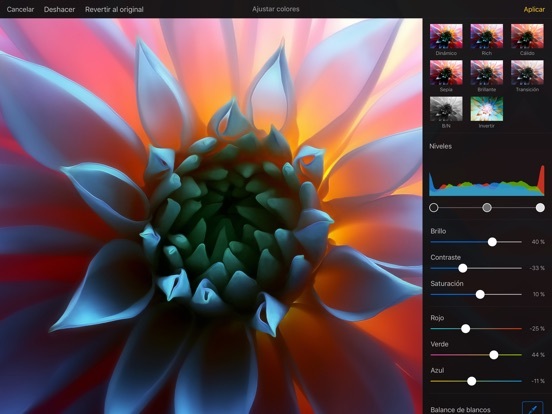 Pixelmator para iPad es un potente editor de imagen que proporciona todo lo necesario para crear, editar y mejorar tus imágenes. Te permite trabajar de forma fluida con Mac y iPad. 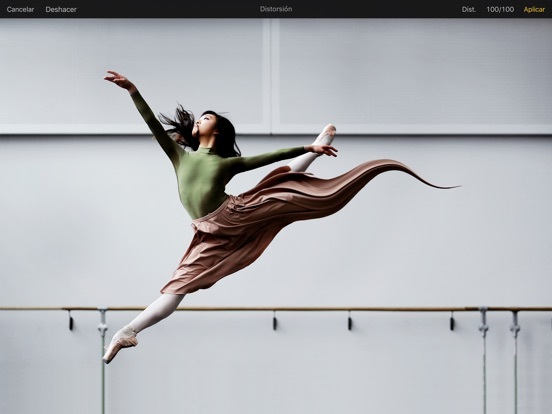 E incluso colaborar sin problemas con quienes utilizan Adobe Photoshop. 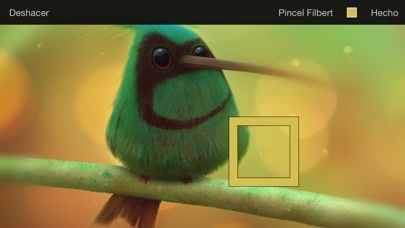 Pixelmator aprovecha totalmente las últimas tecnologías de iOS, proporcionando herramientas potentes que permiten mejorar y retocar imágenes, dibujar y pintar, aplicar efectos deslumbrantes y crear composiciones avanzadas de forma increíblemente sencilla. Una vez hayas finalizado tu imagen, compártela para celebrar tu trabajo con el mundo entero. 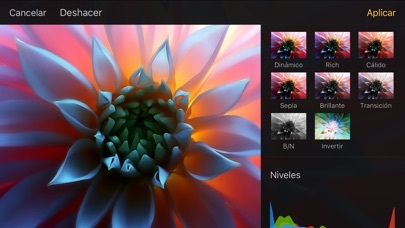 Pixelmator ha sido pensado meticulosamente y creado desde cero para iOS 8 y iPad, diseñado para aprovechar las tecnologías y características de iOS 8 y elaborado para explotar todas las posibilidades de la arquitectura de 64 bits, ARC, Grand Central Dispatch, OpenGL ES, Core Image y Core Animation, proporcionando un rendimiento y un nivel de respuesta de última generación. 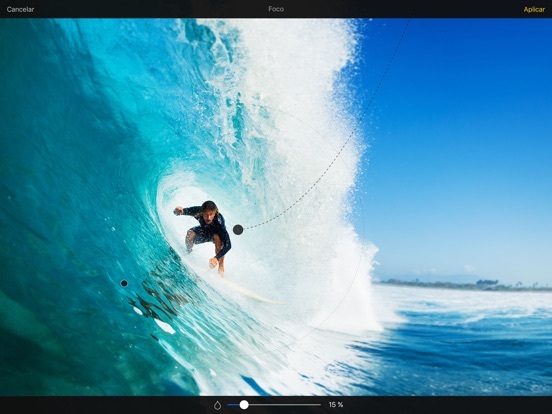 ​This update makes Pixelmator compatible with iOS 12 and adds a few additional improvements and fixes. • Added several new aspect ratios to the Crop tool. • To make it easier to rasterize non-image layers, Convert into Pixels is now available as an option in various popovers. 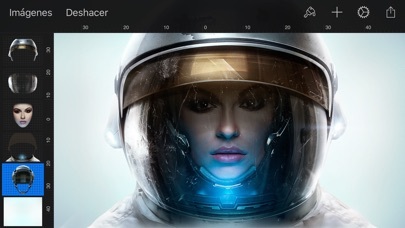 • Image thumbnails in various places in Pixelmator for iOS would be displayed as solid grey. Fixed. • When tapping and holding a layer, the delay before drag & drop is activated has been increased. • Drag & drop will no longer be activated when you hold a layer in place if you've already moved it. • The Undo button has been moved slightly to the right to prevent accidentally exiting to the gallery. • The tappable area of the buttons in the toolbar has been increased to prevent accidentally hiding it. • When saving a copy of an image to the Photos app, the original format will be preserved (however, when saving to the same image, JPEG will still be used as is required by iOS). • Save to Photos will no longer be shown as an option if the imported image was created on another device and it would not be possible to overwrite the original. 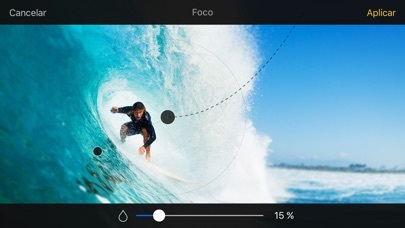 • Using the Distort tools on the new iPhone XS and iPhone XS Max would create transparent areas in the image. Fixed. 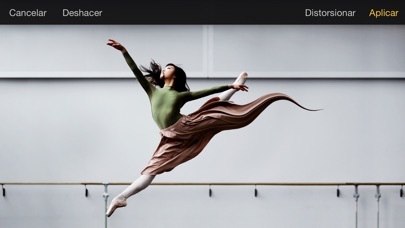 • Pixelmator for iOS would sometimes stop responding when opening the gallery while syncing with iCloud. Fixed. 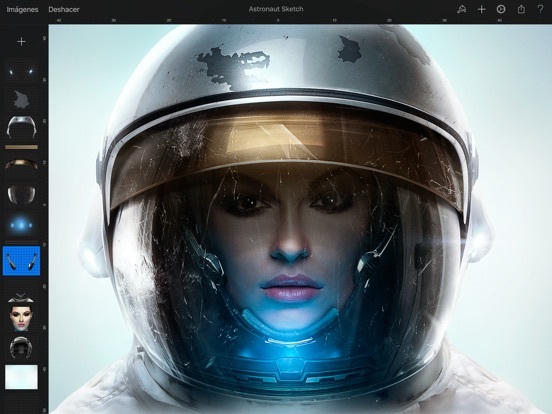 • Fixed an issue that would sometimes cause Pixelmator for iOS to quit unexpectedly when creating images from the Photos app. 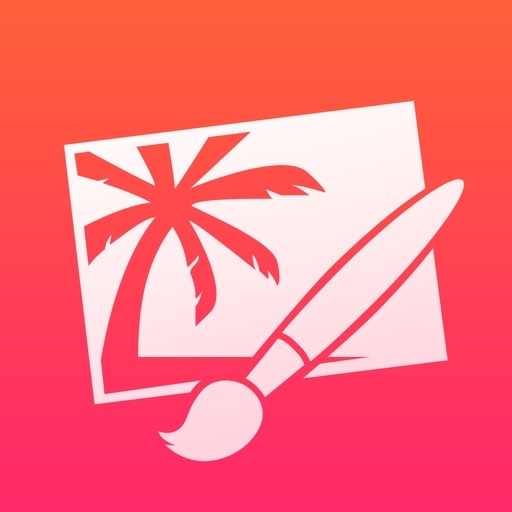 • Added a few other fixes to prevent Pixelmator for iOS from quitting unexpectedly. This update includes full support for iPhone X as well as a number of stability fixes and performance improvements. • The Brushes, Retouch, Distort, and Selection tool choosers were too translucent. They're now just as translucent as they need to be. 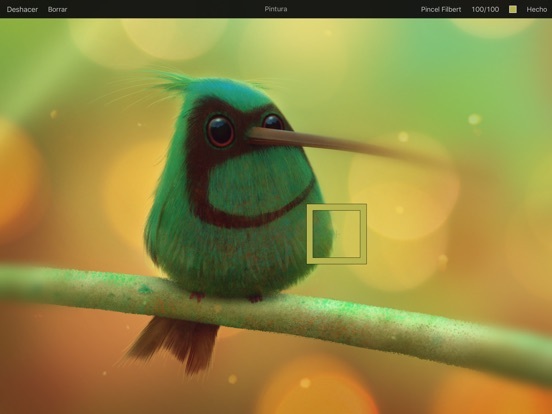 • The Refine Selection overlay was not disappearing after loading a new image. Fixed.